January 17th marked the deadline for when the U.S. Supreme Court was to decide whether or not it would hear the state of New Jersey’s appeal on legalizing sports betting within state borders. Yet, instead of making the official decision, the Court instead announced that it would wait for the U.S. Solicitor General to weigh in on the issue and provide a statement as to the views of the United States on the issue. 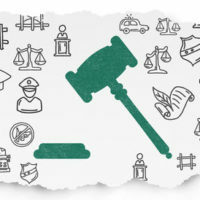 Prior to now, there has been confusion over the issue such that criminal prosecutions for charges related to sports betting have been difficult to manage in terms of law enforcement and justice in some states. These laws do not go unenforced: individuals have been prosecuted in illegal sports betting enterprises as recently as December, even when the circumstances are unclear regarding whether these individuals were involved with placing and/or accepting bets, or simply providing information on access to specific sports books. Although it is unlikely that the Court will accept certiorari and hear the case at this point, those who have been pushing for the official legalization of sports betting may have won for now due to the Court’s delay, particularly as a new administration comes in and plans to appoint a new U.S. Solicitor General. However, it is important to also note that the federal government has, in the past, agreed with the NFL, NBA, NHL, MLB, and NCAA in opposing the legalization of sports betting beyond the state of Nevada due to the Professional and Amateur Sports Protection Act (PASA), which declares that it is unlawful for any government entity to advertise, authorize, promote, sponsor, etc. any betting or gambling based on sports played by professional or amateur athletes. The state of New Jersey, however, is now arguing that the PASA is unconstitutional and violates the dormant commerce clause, which prohibits the federal government from passing legislation that improperly burdens or discriminates against interstate commerce; in other words, legislation that would ban the activity in New Jersey (while allowing it to be legal in Nevada, where it always has been) would arguably constitute allowing Nevada to control the market, while denying states like New Jersey that same opportunity. If you have been wrongfully arrested or prosecuted for a crime, where the law and its enforcement of it are vague and confusing, we are here to help. Phillip J. Murphy, Attorney at Law, has been practicing criminal defense law for more than 25 years, serving communities and clients all over New Jersey. Contact us today for a free consultation and find out how we can help you.